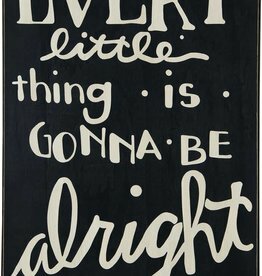 A black and white wooden box sign featuring a hand lettered "Every Little Thing Is Gonna Be Alright" sentiment. Complements well with existing décor or coordinating design pieces. Easy to hang or can free-stand alone.